No sooner is our last competition over than we have a new one for you! 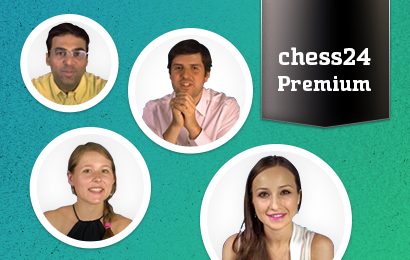 In April we’re giving away three premium memberships to active chess players. The idea is simple: each registered chess24 member wins one ticket in April for each Playzone game they play against another member. At the end of April three winning tickets will be drawn, meaning the chance of winning increases the more games you play. Just bought a premium membership? No worries! You can also win and then either pass the membership on to a friend or extend your current premium membership. So in April: play and win! The draw applies to every Playzone game played between the 3rd and 30th April – simply click the “Play Now” button you see on the right of every chess24 page to get started. The winners will be informed by e-mail at the start of May. Good luck!